Be there in the stands as the best CFL teams of the year go head to head in the Grey Cup championship, one of Canada’s biggest sporting events! VIP Tickets Canada always goes the distance to ensure that there are no losers when it comes to finding the perfect CFL Grey Cup tickets! VIP Tickets Canada has an incredible selection of Grey Cup tickets, every year! Let us connect you with your perfect Grey Cup tickets! The Canadian Football League’s Grey Cup championship is the much-anticipated finale to every spectacular season of professional Canadian football. The Grey Cup championship match brings together the winners of the East and West Divisions to compete for the coveted Grey Cup trophy. Unlike many other professional sports championships, the host city for each Grey Cup is decided independently of the competing teams, which means that CFL fans across the country can regularly enjoy the awesome excitement and intensity of a Grey Cup game live on their home turf! 2017’s lucky host city is Ottawa, at TD Place Stadium on November 26th. Buy your Grey Cup tickets from VIP Tickets Canada to ensure your perfect seats for the game! When shopping for Grey Cup tickets from VIP Tickets Canada, you’ll discover our incredible inventory of CFL Grey Cup tickets. We have a little bit of everything, from luxury CFL Grey Cup tickets, to the CFL Grey Cup tickets that get you closest to the action, to the CFL Grey Cup tickets that will get you the best bargain! What's more, VIP Tickets Canada’s CFL Grey Cup ticket selection is always updated in real time, 24/7, so that the CFL Grey Cup ticket options you see are always the CFL Grey Cup tickets that are available! Purchasers of VIP Tickets Canada CFL Grey Cup tickets always can always rest easy, knowing that their CFL Grey Cup tickets will be legitimate and reliable. We want your CFL Grey Cup tickets shopping experience to be enjoyable AND secure, which is why customer service and secrurity are both of top priority! Contact us for assistance from a VIP Tickets Canada customer service representative regarding your CFL Grey Cup tickets. 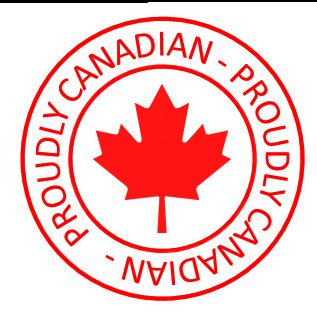 VIP Tickets Canada is proud to be Canadian-owned and Canadian-operated! Canadians can finally purchace their CFL Grey Cup tickets from a Canadian company that is on top, in terms of CFL Grey Cup ticket selection and price! If you need assistance with purchasing your CFL Grey Cup tickets, please contact us any time!